As Music Broadcast Limited (MBL) IPO opens for subscription on 6 March, it will kick-start a new IPO season after the market took a month long pause. Following Radio City IPO will be DMart IPO on 8 March and the public offer of depository CDSL is also not very far. Meanwhile, several SME IPOs will keep the market interesting. MBL is the holding company of Radio City and Radio Mantra. Radio City is a leading FM radio broadcaster and has pan India presence with radio stations in 37 cities as on 15 February and is going to start two new radio stations in Bikaner and Patna by April. We have seen IPOs that have a connection with retail consumers tend to do well and this is going to make Radio City IPO a discussion point in general public. This is no guarantee of positive performance after listing as we saw shares of Coffee Day tanking on listing (we correctly anticipated it and advised to stay away). Coming back to Radio City IPO, we are not suggesting this scenario will be repeated as it will largely depend on the offer’s pricing. However, we can safely say that MBL has relatively strong fundamentals. Read here what makes the company and the IPO interesting. Music Broadcast Limited will be the second pureplay FM radio business to list in India. Radio City IPO will follow its larger peer Entertainment Network India Limited (ENIL) which made its stock market debut in 2006.ENIL belongs to Bennett Coleman & Co Ltd (BCCL) which controls Times of India and Economic Times newspapers, besides several TV channels. Similarly, Radio City is majority-owned by Jagran Prakashan. Just like Bennett Coleman & Co, Jagran has a wide portfolio that spans across newspapers, radio stations and online portals. Most prominent of these names is Dainik Jagran but Midday, JagranJosh.com, Naidunia, I-Next, City Plus, Punjabi Jagran, Josh Plus & Sakhi are also influential brands. This diversification across media formats tremendously helps the constituents in boosting visibility and gaining traction at retail level. Radio City IPO will include issue of fresh shares as well as a sale by existing shareholders. The company will get INR400 crore (INR4 billion) by issuing new shares while 2,658,518 shares will be sold by the members of the Gupta family which is among promoter group. We are not fans of pure OFS issues as the company in question gains very little from the exercise. Of course, there are some exceptions to this, e.g. BSE IPO where the core operations didn’t need additional funds. Since there are both components in Radio City IPO and the offer is not just an exit route for investors, it is in our good books. Read further to see how issuing new shares is going to help the company. 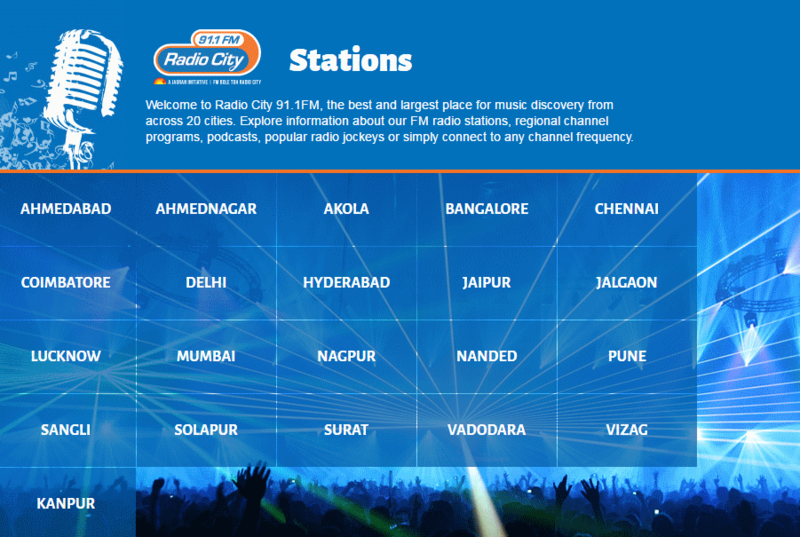 Radio City claims to have a listenership of nearly 49.6 million people across India as of 31 March 2016. MBL claims that this puts the radio station ahead of its competitors across the country and also includes a consistent leadership in key markets of Delhi, Mumbai and Bangalore. However, the data is based on a survey in only 23 cities and excludes Radio City’s operations in 14 cities. As we generally see, survey figures can be widely misleading and are prone to manipulations. On its website, rival ENIL claims that Radio Mirchi is the leading radio station in India with more than 63 million listeners across the country. In this scenario, revenue is a more accurate metric and Radio City presents a strong case for itself. MBL’s top line grew consistently from INR124.8 crore in FY2012 to INR245.5 crore in FY2016 (for the sake of comparison, ENIL posted revenue of INR533.7 crore in FY2016). As anyone can guess, a wide majority of this revenue comes from advertising as most FM radio stations are free for listeners in India. For FM radio broadcasters, content is king but it has proved to be difficult for industry players to build loyalty. With so many FM channels around, the space has become crowded, if not commoditized. Despite the lack of distinctiveness among industry players, radio broadcasters are currently in a good phase and a joint report by KPMG and FICCI forecasts that this purple patch is expected to continue with expected CAGR of 16.9% between 2015 and 2020, surpassing the advertising spend in print and TV. Nevertheless, it is the bottomline which matters in the stock market and Radio City doesn’t disappoint here. 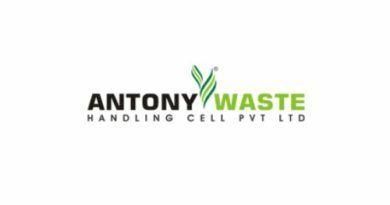 Its profitability has been uneven but has been on a strong footing in recent years and the company earned a total of INR42.5 crore in FY2016. This translates to a net margin of 17.3%, down from 22.7% from previous year but still second best performance in recent years. This is probably the best part of Radio City IPO. The proceeds from the public offer will be used to retire the existing debt on MBL’s books. Out of the INR400 crore the company will raise through the IPO, INR200 crore will be used towards redemption of listed non-convertible debentures (NCDs) while INR98.2 crore has been earmarked for early redemption of NCDs and ICDs (Inter-corporate deposits) issued to Jagran Prakashan. Following the move, MBL will be a debt-free company. This means the company will shave a big chunk of the finance costs which stood at nearly INR19 crore last year. Even though interest rates are coming down now and the company can negotiate lower rates, it is ultimately better to have debt-free operations.